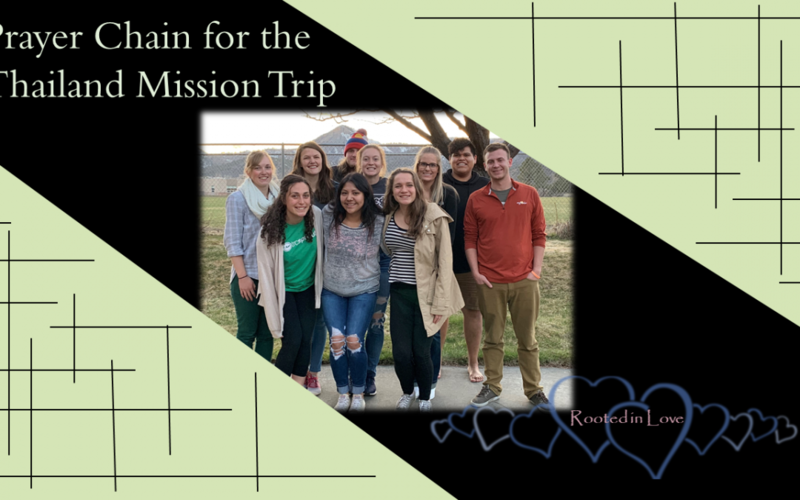 On April 29, 2019, 12 students and their leaders will embark on a mission trip to Thailand and returning on May 13, 2019.This will be the first time a mission team from FUMC has gone to Thailand. The team will be meeting up with someone with Adventures in Missions where they will be informed what the greatest needs are and put to work. It doesn’t matter that they don’t know what they will be doing now, all that matters is they all have the heart to follow Gods path for them and serve with open hearts. God couldn’t have picked a better team to go spread His love. If you would like to be part of a prayer chain to cover them in God’s love and the mission God is calling them on, please click on the link below. It will bring you to a 24-7 international sign-up sheet. The top will say FUMC Thailand mission trip and below are the spaces available to sign up for. Click on an available white space and sign up. There are three pages to the sign-up sheet, so to get to the other pages click on the arrows, in the navigation box, located on the upper right-hand corner of the page. The prayer room at the church will be available during certain hours if you would like to come to the church and pray. If you have any questions, please contact CJ at cj@fumcdurango.org. Thank you for being a part of this prayer chain.